A focus group has been formed consisting of port and local authorities to exchange knowledge, test and get feedback on best practices with deployment of onshore power (OPS) and to coordinate local incentives to promote OPS. The focus group may also initiate new deployment projects under EU programmes. Several ports and local and regional authorities are partners in the CLINSH project. They invite you to join this focus group. Up to three live meetings are foreseen in the period 2018-2020. 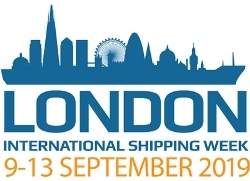 London International Shipping Week 2019 has chosen 'The changing face of global trade and the opportunities posed.' chosen as the key theme for the week. LISW19's overarching theme 'International Trade in a Changing World' will be supported by a series of sub themes: Growing; Innovating; and Partnering. These will provide the backdrop to the flagship LISW19 conference to be held at the Grosvenor House Hotel, Park Lane on Thursday September 12th, 2019. Skills gaps, recruitment challenges and an ageing workforce are often cited as barriers to business growth and increased productivity. 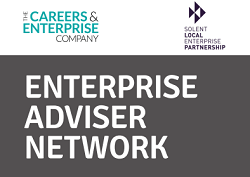 To support with tackling these issues, Solent LEP have committed to establishing the Enterprise Adviser Network in the area. 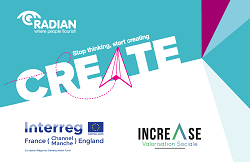 This national initiative, delivered in partnership between Local Enterprise Partnerships and the Careers and Enterprise Company, matches schools and colleges with a volunteer from business; providing an insight into the world of work and encouraging education to find effective ways to build their employer networks. Providing education with an insight to the realities of the workplace and expectations of employers is invaluable in ensuring that young people make informed choices about their career pathways. It is also a great opportunity for personal development and to build your own professional network. The FedEx Small Business Grant Contest has been set up to invest in small UK businesses in order to strengthen their activities and help them expand into new territories across the world. * have a valid UK VAT number. Applications must be received by 28th November 2018. FedEx will announce the Top 10 Finalists on the Small Business Grant UK website on 6th December 2018. The Top 10 Finalists will be notified via email and asked to provide a second-round submission, submission due on 9th January 2019. FedEx will announce the final two Winners on 24th January 2019. 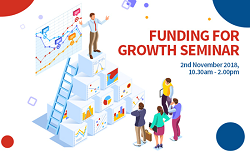 The Horizon 2020 Fast Track to Innovation call provides funding for close to market, business driven projects and is open to proposals in any area of technology or application. Part of the Horizon 2020 Industrial Leadership Pillar, Fast Track to Innovation (FTI) accelerates the market uptake of ground-breaking innovations by providing funding through an open, accessible scheme that nurtures ideas from consortia of innovators of all types and sizes from across Europe. FTI supports actions undertaking innovation from the demonstration stage through to market uptake, including activities such as piloting, test-beds, systems validation in real-world working conditions, validation of business models, pre-normative research, and standard-setting. FTI actions are encouraged to be interdisciplinary, cutting across different sector and technologies. Actions supporting innovative concepts that have the potential to disrupt or to create new markets are particularly welcome. * The allocation of at least 60% of the budget to industry participants in the consortium. * The presence of a minimum number of two industry participants in a consortium of three or four partners, or of three industry participants in a consortium of five partners. The maximum EU contribution per action is €3 million (funding rate: 70% for for-profit entities; 100% for not-for-profit entities). The total budget available over 2018-20 is €100 million. The European Maritime and Fisheries Fund has launched a new Call for Proposals with a total budget of €18.7 million to accelerate the development and implementation of the EU Maritime Policy and the sustainable development of the blue economy. * Blue Labs - promoting innovative laboratories to pilot new and economically viable solutions addressing selected maritime and marine challenges and opportunities. The total budget is €5 million with an expected EU contribution of between €500,000 and €1 million per project. EASME expects to fund approximately six proposals. * Blue Careers - promotes innovative approaches to strengthen the cooperation between industry and education in order to bridge the gap between skills' offer and demand. The total budget is €5.5 million with an expected EU contribution of between €500,000 and €1 million per project. EASME expects to fund approximately seven proposals. * Blue Economy - support for demonstration projects based on innovative technologies testing/deploying/scaling-up of new industrial or service applications and solutions for the blue economy. The total budget is €8.2 million with an expected EU contribution of between €500,000 and €1 million per project. EASME expects to fund approximately nine proposals. Organisations can receive up to 80% co-financing for their project (65% for Blue Economy topic). Applicants must be private entities, public entities, or international organisations established in an EU Member State. EU bodies (with the exception of the European Commission Joint Research Centre) cannot be part of any consortium. The deadline for applications is 31st December 2018. 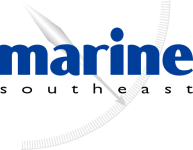 The Business 2 Sea Sea Forum is an international event dedicated to the development of projects and businesses in the different sectors of the marine and maritime economy. The ENTROPI project, looking at business opportunities for Multi-Use Platforms at sea will be presented at the event. 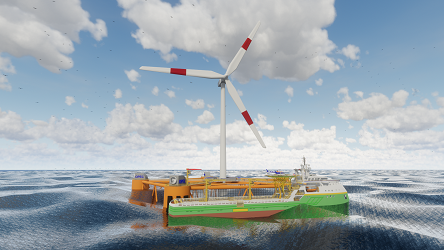 The ENTROPI project will be discussed during the thematic session of Shipbuilding and Marine Renewable Energy on the 15th of November from 14h00 - 17h30 at the Alfandega Exhibition Centre in Porto, Portugal. The event is open to the participation of all types of organizations - companies and business associations, higher education institutions, research centers, entities with intervention in the marine and maritime. http://www.offshoreplatforms.eu and register to join the Interest Group to receive regular updates via the website.